New elections are just around the corner! 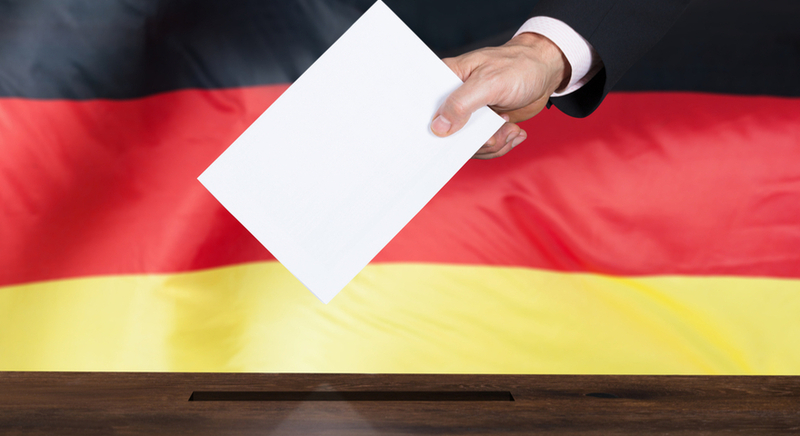 Germany will hold its federal elections on 24 September, when members of the Bundestag will be directly elected, and the chancellor (Head of State), indirectly. On the face of it, the German election seems to be generating less attention than the dramatic elections in the UK, the US, or France. However, this event might be equally essential, considering the importance of Germany's position within the EU. Time to have a closer look at what traders can expect from the upcoming election! Who Will be the Next Chancellor? Angela Merkel is the current Chancellor and Leader of the Christian Democratic Union. She has been in power for 12 years, and a potential new term in office would make her the joint-second longest serving chancellor, along with Helmut Kohl (at 16 years). With Otto von Bismarck the longest-serving German Chancellor (22 years). Merkel is the favourite and the front runner for winning a fourth time. Why? Her approval ratings are around 60%, and the exit polls are showing her party polling first at 35-40%. Her main competitor is Martin Schulz, leader of the Social Democrats and former President of the European Parliament. He has been leading the Social Democratic Party since January 2017, having spent most of his political career in Brussels. His party is currently polling at 20-25%. Who will win? We will only know on September 24 as Germany votes and elects its 19th Bundestag. There are a total of 598 seats; 300 are needed to form a majority that will constitute a government to lead the country for the next four years. A single party is not expected to win an outright majority. A coalition of several parties is most likely to occur, even if Merkel's Christian Democrats win most seats. A minimum of 5% is needed before any seats are given to a political party. Besides the Christian Democrats and the Social Democrats, the current parliament consists of the Left Party and the Green Party. According to exit polls, the FDP (Free Democratic Party) and AfD (Alternative for Germany) have a chance to win sufficient seats as well. Internal issues, i.e., unemployment and social inequality. 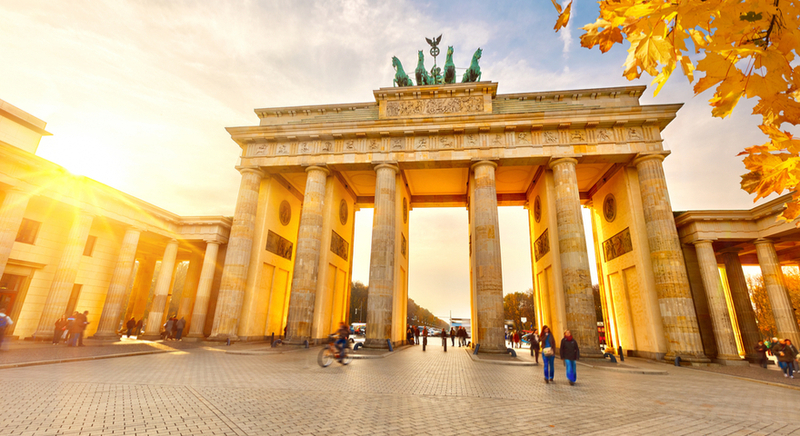 Germany's Economy is Strongly Bullish, So What's Next? The German economy is performing well, leading the EU in its recovery. The unemployment rate remains low and stable at 4%, whereas consumption, export, and GDP growth are all in uptrend. The German Index DAX, also known as DAX 30 or GER 30, has been in a strong uptrend as well, almost reaching 13,000 as recently as June 2017. The DAX technically remains in an uptrend, although a retracement is currently taking place. With so much good news, what is there left to debate? Merkel might hope that her 12-year track record will be enough to clinch the win this month. However, she also indicated the wish to lower the unemployment rate even further, partly by hiring more police officers. She also wants to offer tax cuts to younger families. Schulz wants to focus on decreasing the social inequality despite the economic growth. He is planning to offer tax breaks to the group of middle income earners by increasing taxes on the wealthy. He also prefers more infrastructure investments and increased EU support from Germany. The difference between Merkel and Schulz is very insignificant and lies in the issue of climate change, as compared to the two candidates running in the US elections back in 2016 (Trump versus Clinton). Both leaders are also strong proponents of the EU and critics of the Brexit process. Immigration is another hot topic which once negatively impacted Merkel's approval ratings back in 2015, when over one million migrants and refugees entered Germany. However, her ratings have since rebounded upwards. Last but not least, security is one more sticky topic, due the occurrence of multiple terror attacks in the past few years. Both Merkel and Schulz want more police and security. All in all, Germany is an important part of the EU and the Eurozone, holding the most political power, together with France. In turn, the EU is a major global player. Elections in Germany are a vital measuring point in the political upheaval of 2016, when the UK chose Brexit and the US, Donald Trump. The continuation of Merkel would weaken the anti-globalisation trend for the moment. Today's focus was on providing a quick background on the upcoming global political event, but the elections are able to impact the financial markets as well, such as Forex the Euro currency, the DAX Index, and CFDs. Our next article promises to dive into the details with some technical analysis and what we expect from a Merkel or Schulz win. In the meantime, there's just enough time for you to open a Demo Account and try out live market conditions absolutely risk-free. You can also sign up for a Live account, if you want to trade the news for real! The best technology on the market – MetaTrader 4 Supreme Edition. Connect withChris Svorcik on Facebook for more Forex and CFD information!